the sweater matches your eyes! ^^ wish I could be in scandinavia for the holidays - I spent christmas in norway once and loved it. :) happy holidays!! Ridiculously cute! 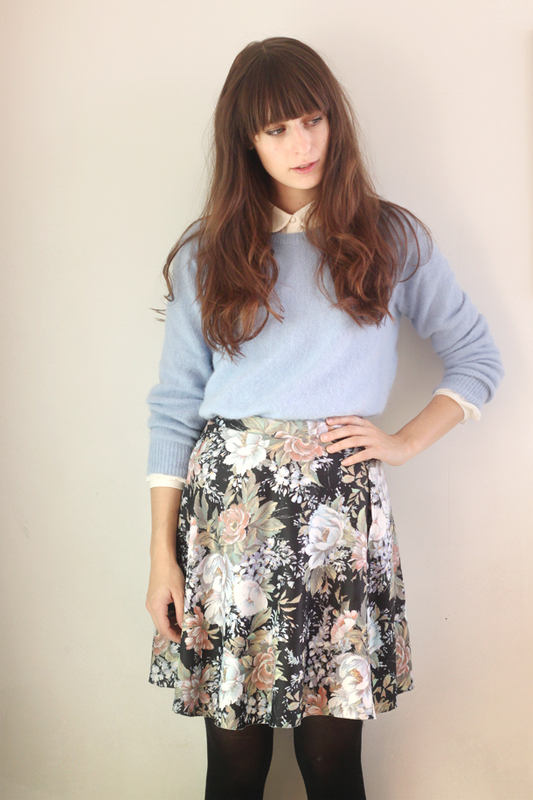 I love the pale blue sweater paired with those florals... such a great combination. You look so adorable! Comfy outfit! I love the skirt! :) And so awesome that you're in Sweden! Oh, you look lovely! 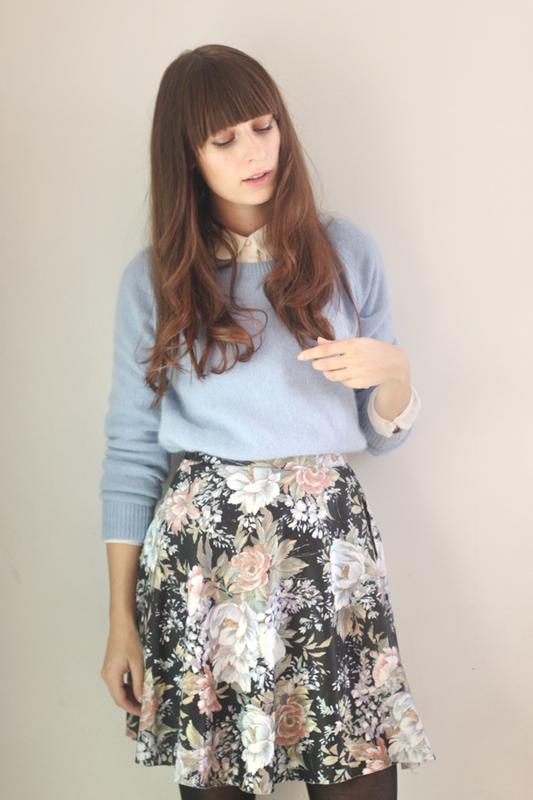 Love the floral skirt! Oh die rok is echt supermooi!!! 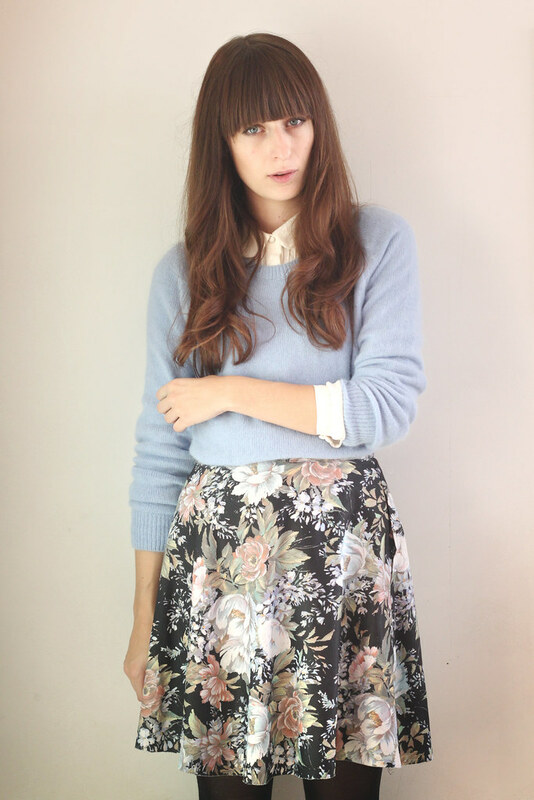 love the blue sweater paired with the skirt! so cute! 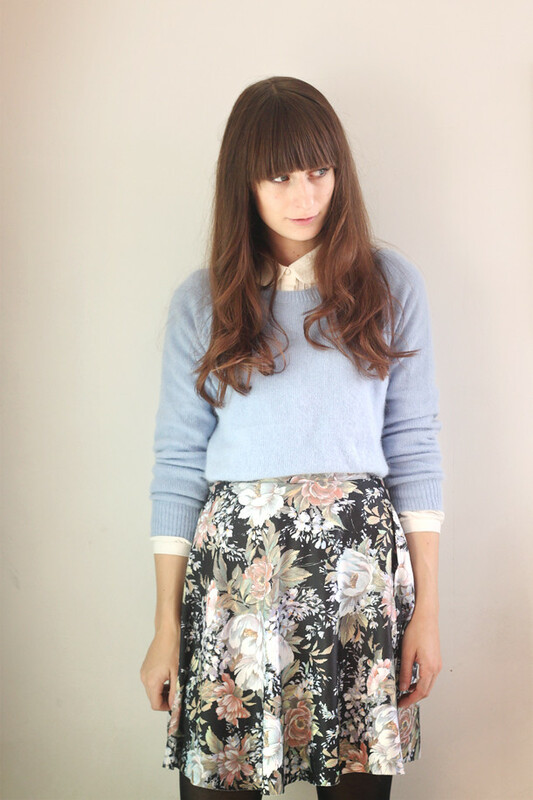 Love your vintage look! 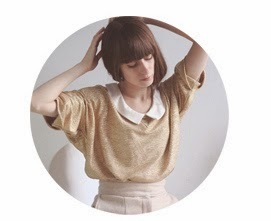 The skirt is an item I would probably walked right past in a thrift store and not think twice about--you have great ideas for styling difficult pieces in a way that's very modern!